Description: Designed for entertaining...Family and friends will delight in this gorgeous pool with waterfall and .25 acre backyard large enough for games! Great deck for views! Beautiful entry! 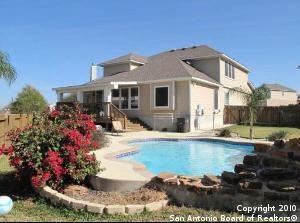 Awesome downstairs master retreat with garden tub, walk in shower, 2 extra large vanities & huge walk in! Impressive open stairway! Huge bedrooms with huge walk ins! Formal, family and loft makes great space! Open kitchen with 42 in cabinets, double drawer dishwasher! Solar screens! High ceilings! Rounded corners! Hurry!